The latest Muppet movie begins at the end. Not like in media res, I mean like the first thing you see in this movie are the giant words “THE END.” We’re back at the end of the last Muppet movie, and it slowly dawns on the Muppets that the cameras are still rolling. This could mean only one thing! Obviously, James Bobin forgot to shout cut. No, wait, the Muppets are doing a sequel! So, the movie begins with a meta moment when the Muppets realize they’re now in a sequel, and they sing an absolutely hilarious song about this fact entitled “We’re Doing a Sequel.” So now they’re puppets, who are actors, who are playing themselves in a movie. It’s kind of like This is The End, except I don’t think James Franco is a puppet. At least I’m pretty sure he’s not. Anyway, the best part? This movie was going to be called The Muppets Again! Because it’s about the Muppets, again! 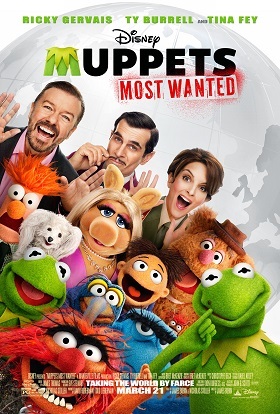 It’s so absurdly stupid it’s kind of brilliant, which is why it was changed at the last moment to Muppets Most Wanted. They went with a more descriptive, less generic title that somehow managed to be less descriptive and more generic. Good, now explain it to me. Trevor Pryce is a 14-year veteran of the NFL who played defensive end for the Denver Broncos, the Baltimore Ravens, and the New York Jets. Now, he’s taken on a completely new career: Fantasy author. 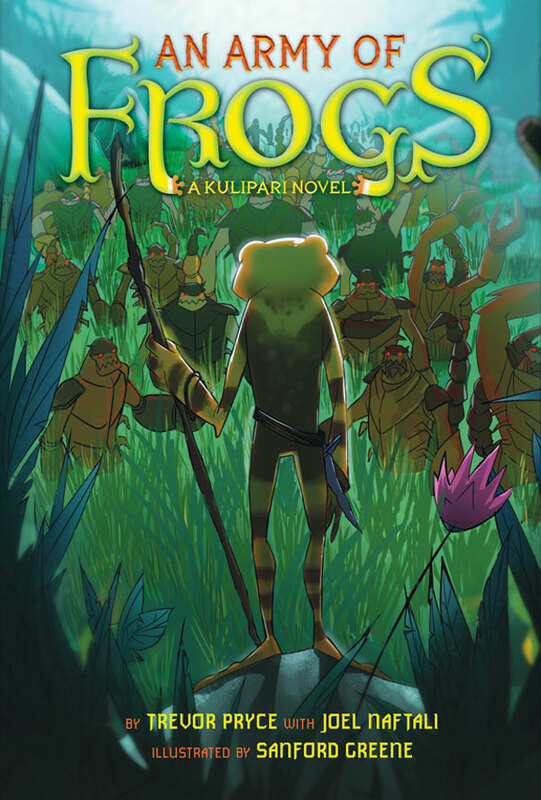 In the first book of the new Kulipari series, Mr. Pryce (aided by Joel Naftali) tells the story of An Army of Frogs. “It’s frogs versus scorpions in this new series by professional football player Trevor Pryce. 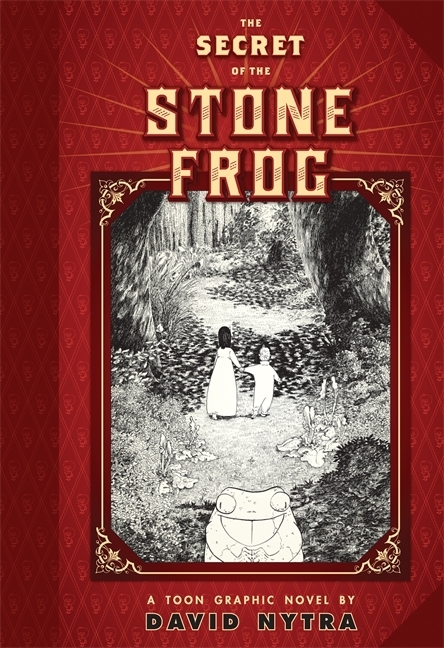 For years, the frogs of the Amphibilands have lived in safety—protected by an elite group of poisonous frogs named the Kulipari and by the dreamcasting spell of the turtle king that cloaks their lands in mystery. Now the spell is threatened by the Spider Queen, a talented spellcaster, and Lord Marmoo, leader of the scorpions. With the Kulipari off training in secret, the Amphibilands have never been so vulnerable. 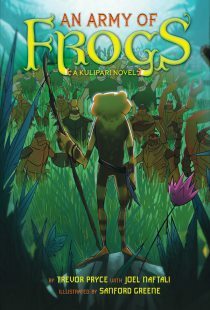 Enter Darel, a young frog who dreams of joining the Kulipari, despite his utter lack of poison and limited fighting skills. With the help of a motley crew of friends, Darel has the chance to become the warrior of his dreams.” This new series of hardcover fantasy novels is illustrated by Sanford Greene. According to Amazon, it’s due to hit the shelves this May from Amulet Books. Technically, “fractured fairy tales” is a TV cartoon series by Jay Ward, originally part of Ward’s Rocky and His Friends from 1959 to 1961; but it has become a popular generic term for any modernized, satirical story in a traditional European fairy tale setting. 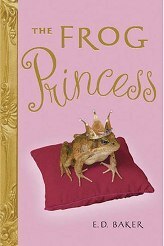 This certainly fits Elizabeth D. Baker’s Tales of the Frog Princess novels. Although published for the 10- to 14-year-old age group, they are witty enough that adults will enjoy them, and they contain enough talking animals and humans transformed into animals to please the average ‘morph fan. The narrator, Emeralda (Emma), is a tomboyish 14-year-old princess of the stereotypical fairytale Kingdom of Greater Greensward. The kingdom is supposed to be protected from conquest by a princess who becomes a kindly, guardian Green Witch in each generation. Unfortunately, a fairy’s curse has turned any princess who touches a flower after she turns sixteen into an ugly, nasty hag, which disqualifies the Green Witches. When Emma’s grandmother, Queen Olivene, fell under the curse, she turned her daughter Grassina’s fiancée Haywood into a frog (they think). Emma is despondently sure that she is too inept to ever become her generation’s Green Witch. Also, her mother, Queen Chartreuse, is trying to marry her off to handsome but unlikable Prince Jorge. The July issue of Animation Magazine featured the 2012 Pitch Party, which has become an annual event. The idea is simple: Entrants purchase a 1/16th-page ad in the magazine, and submit a one-panel “pitch” for a new animated TV series or feature. A panel of animation industry experts, the staff of Animation Magazine, and on-line readers each get a chance to pick their favorites. Those industry folk this year included names from Cartoon Network, Nickelodeon, PBS, and the Hub among others. And the top pick from both those bigwigs and the Animation staff was Jimmy Legs: The Down and Out Frog, created by Daniel Contois — the story of a cartoon frog living in America following a nuclear apocalypse. Oh what fun! 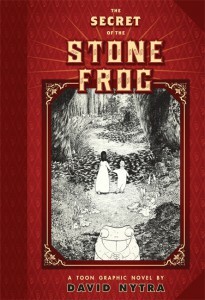 On Friday, the Jim Henson Company announced the development of an animated feature film based on the Frog and Toad children's books. Published between 1970 and 1979, the four books in the Frog and Toad series are Frog and Toad are Friends, Frog and Toad Together, Frog and Toad All Year, and Days with Frog and Toad. 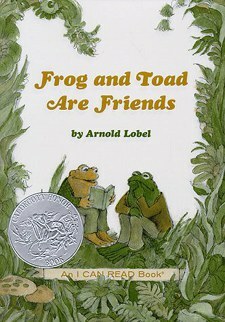 Written and illustrated by Arnold Lobel (1933-1987), they chronicle the exploits of the amiable Frog and his curmudgeonly friend Toad. The Henson screenplay is being written by Craig Bartlett (Rugrats, Hey Arnold! ), and Cory Edwards (Hoodwinked, Hoodwinked Too! Hood vs. Evil) will direct. It’s time for the world — or at least Furry Fandom — to re-discover the works of Frank Cho. Or at very least his seminal work in comics, Liberty Meadows. This well-known comic strip started life as an outgrowth of University Squared, a comic strip that Frank worked on during his college days. Liberty Meadows tells the story of a terribly beautiful human named Brandy, who works as a psychiatrist at the Liberty Meadows animal sanctuary. But it also tells the story of Brandy’s decidedly anthropomorphic animal friends: Like Ralph the miniature bear; Dean the lecherous pig; Leslie the hypochondriac frog; and Truman the very, very nice duck. The strip was syndicated for newspapers from 1997 to 2001, when constant censorship by his editors convinced Mr. Cho to switch to a comic book format — which was self-published at first, then later came out of Image Comics. During that time as a newspaper strip however, Liberty Meadows produced several full-color Sunday strips. And now those strips have finally been collected in the Liberty Meadows Sunday Collection, coming this June in hardcover from, yes, Image. You can find out more about Liberty Meadows — and read the current, un-censored strip — at Frank Cho’s official web site. Paul McCartney pens "High in the Clouds: An Urban Furry Tale"
I thought it was a typo when my coworker informed me she had seen an advert claiming former Beatles member Paul McCartney had written something with "Furry" in the title. It seems as though it should say "Urban Fairy Tale," a common enough phrase. Semantic quibbles regarding the differences and/or overlappings of furries vs fairies aside, it is indeed furry, and "is about two squirrels and a frog, who embark on a mission to set free some animals" (per Bookinformation.co.uk). More info at the above URL, Billboard.com, or just Google the title. BBC On-line reports the discovery of a species of purple frog in western India. Nasikabatrachus sahyadrensis represents a previously unknown branch of the amphibians.